Ductless mini-split systems are ideal for Atlantic Beach, Florida, homes where traditional central air conditioning is difficult or expensive to install. A ductless mini-split system has a condenser unit, which is located outdoors, and at least one air-handling unit, which contains the evaporator and is located indoors. Air-handling units are installed in a wall or ceiling, and several of them can be serviced by one outdoor condenser unit. This allows homeowners to maintain different temperatures in various areas, or zones, of their home. Since every air-handling unit within a ductless system operates independently, you have more control over the temperatures in specific areas or zones of your home. For example, you may decide you want the temperature in your bedroom a few degrees cooler than your family room. Creating these separate zones allows you to precisely adjust temperatures based on your comfort needs. Traditional central air conditioning systems generally rely on ductwork to deliver conditioned air throughout your house. Over time, ductwork can degrade, exposing gaps and loosening connections that can decrease an air conditioning system’s operating efficiency. In contrast, a ductless system’s air handler is contained inside the units that are installed directly in rooms of your home. This placement promotes optimal operating efficiency and enhanced home comfort. Biological growth, dust, and pet dander can build up inside the ductwork. As conditioned air passes through dirty ducts, it can pick up these pollutants and distribute them throughout the air that enters your living spaces. Since ductless systems don’t rely on a network of ducts to deliver conditioned air throughout your home, you can enjoy the benefits of cleaner air. In addition, many types of ductless systems contain sophisticated filtering technology that traps dust, debris, and other pollutants. Does a ductless mini-split system make sense for your home’s comfort needs? 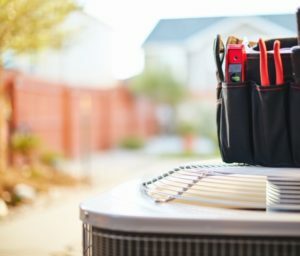 Ask our helpful HVAC professionals at Northeast Florida Heating & Air. Call us at 904-201-3413 to schedule an appointment.